You will find an assortment of world-class whitetail we've put our clients on year-after-year in each album. We've been graced with premium property, exceptional guides, and a whitetail deer habitat built for producing the new state record of Wisconsin. Our high 145" average has been due to our 130" minimum. Technology has greatly advanced our big buck strategies. As trail-cam pictures can attest, our deer aren't nocturnal like so many pressure outfitting businesses around the Midwest. We've captured just as many monster Buffalo County bucks on camera during daylight hours than night. Trail-cameras are run nearly all year. 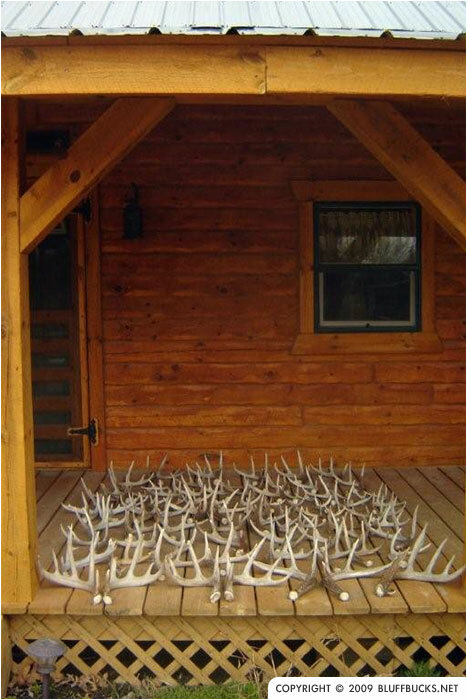 You will have a firm idea of the trophy bucks you'll be chasing before you sit in stand. Our video gallery is comprised of some of the most invigorating big buck footage from Buffalo County. Each video link has been documented on official Bluff Bucks Outfitter land. We run professional video cameras year round to capture the growing stages of our most prized animals. A collection pre-season scouting video footage.